I'm not sure what to call this post, I figure this can be a warning and/or FYI IMO for other new to mech mods and rebuildables. So I had an interesting experience and learnt something new today. 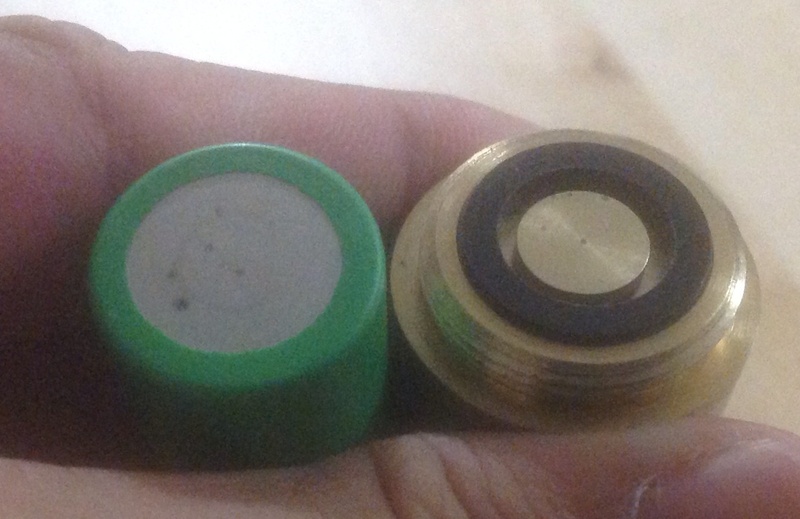 Being new to the mech mod world of vaping, I came across a few issues I've discovered and learnt the hard way why we should always ensure battery safety come first. Couple months back, I've purchased the trident clone and nemesis from FT, been vaping it without any issues. Recently I notice the copper pin sits a bit in from the 510 threads and I thought nothing of it as it came "as is" from FT.
With the recently purchase of the panzer clone, not realising the positive pin of the panzer will not make a connection to the trident for the reason mentioned above. The result of this was a short, at the first attempt to fire, nothing happened. I figured something was up with the button, so I fired it again. Seconds later, the entire mod was hot and I quickly unscrew to take the battery out. Trying to figure out what the heck was going on and why it shorted. Looking at both the panzer and nemesis, I noticed the top pin was different in size(diameter), nemesis being small enough it made the connection with the trident no problem. However, the panzer was much wider, hence it never made a positive connection which had lead to the battery shorting. First problem, being new to mech mod, I should have known better. Second, the trident clone itself, I know the copper pin can be unscrewed to easily remedy the issue, however the positive post and copper pin were one piece that moves ups and down if enough pressure is applied. Therefore there is a risk of it shorting, which was the case with me. The battery and panzer itself has some battery spark/burnt spots and I'm not wanting to take the risk, I will dispose of the battery. Out of curious, can someone tell me if it will be any issues if I was to continue use the battery. The lesson I've learnt from this is to always check everything from coil built, rba, down to the mech mod itself. I hope this may help someone out there whose new to mech mods and rebuildables. Sorry about the photo size, have yet to discover how to resize photo on the iPad.